All eyes were on the Simplyhealth Great Edinburgh XCountry but this will have been one of the busiest weekends of the winter with the county cross country championships taking place. Reports and photographs of the county events will be in this week’s AW magazine. Alex Tovey was a clear winner of the senior men’s title in 38:33 with Scott Halsted second. Philippa Bowden, who did not receive an official time due to a marshal error, claimed the women’s title ahead of Anna Boniface, who was 16th and 10th in her previous two appearances in 2014 and 2015. 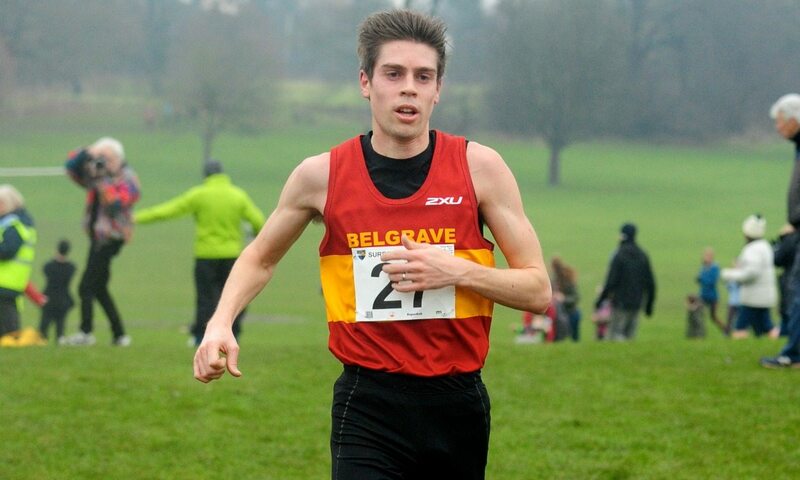 Dan Cliffe was a runaway winner of the senior men’s 10km in 36:57. Heather Timmins was also an easy women’s winner of the 7.5km race in 34:00. Owain Jones won a competitive men’s 8.5km race from Tom Mortimer in 27:22. Ruth Barnes was first woman in the 5.7km race in 20:26. Former National champion Hatti Archer clearly won the women’s race in 24:02. Jaimie Roden won the men’s race which was clearly short of the advertised 10km in 27:40. Tom Frith won the men’s race in 38:10, while Liz Davies won her first ever senior title in 30.13. Alex Teuten won the men’s 12km race by almost a minute in 37:34. Louise Small edged former National champion Louise Damen to win the women’s 8km race by five seconds in 27:00. John Gilbert won his sixth title in the last seven years after fighting off a challenge from George Duggan who led Tonbridge to team victory. Gilbert won the 12km in 38:34. Steve Roe’s report and Mark Hookway’s photographs will appear in this week’s issue. 2:32:05 marathoner Tracy Barlow easily won the women’s 8km race in 28:58. Ex-National junior winner Richard Goodman comfortably won the men’s 12km in 37:29. Alastair Aitken’s report will appear in this week’s issue. Phil Wicks won the men’s 12km by half a minute in 39:17. Phoebe Law was equally dominant in the senior women’s 8km in a time of 29:09. Jeremy Hemming’s photograph will appear in this week’s issue. Emile Cairess won the men’s race in 33:47 while Julie Briscoe won the women’s race in 30:24. World junior 10km race walk champion Callum Wilkinson won the 3000m walk in a PB of 11:35.0 which puts him sixth on the UK all-time lists and top under-23. Jessica Taylor was a clear winner of the women’s pentathlon with a score of 4090 points. Liam Ramsay won the men’s heptathlon with a PB score of 5832 which moves him up to fourth UK all-time. Holly McArthur won the under-20 pentathlon in a PB 3804, while Joseph Hobson won the under-20 heptathlon with a PB score of 5109. James West, who was in Britan’s winning relay team in Edinburgh the day before, won the 3000m in 7:58.94, with Andrew Heyes also inside eight minutes. Spencer Thomas won the 800m in 1:49.62. Elinor Kirk was first in the women’s 1500m in 4:18.31. Paralympian Stephen Morris improved his PB and T20 British 800m record with 1:56.67. Stephen Green’s report will appear in this week’s issue. Phil Wylie was a clear winner of the men’s race in 31:02, while W40 Serane Stone won the women’s race in a PB 36:08.